Approximately one quarter of all women of childbearing age in the U.S. have chronic systemic hypertension. 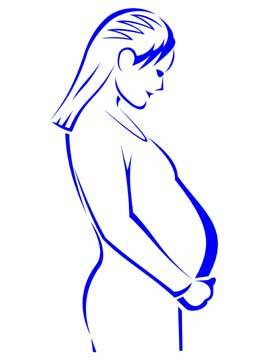 In addition, pregnancy can induce high blood pressure. Those most at risk for having blood-pressure-related problems during pregnancy include women undergoing their first pregnancy under the age of 17 or over 35, those who are bearing multiple babies (twins, triplets, etc. ), those who are overweight, smoke, have an inadequate diet, or have a family history of hypertension. Complications that may arise during pregnancy because of high blood pressure include an inadequate supply of blood or oxygen to the mother or fetus. Also, the mother may experience difficulty breathing or develop kidney problems. In extreme cases, there is the risk of seizures, strokes, or even death. Therefore, it is important that blood pressure levels and the overall health of mother and child be monitored regularly during pregnancy. Anyone with systemic hypertension, treated or untreated, should consult with their cardiologist prior to becoming pregnant to review the risks.